Three characteristics have contributed in the success of arthropods. One of is metamerism. 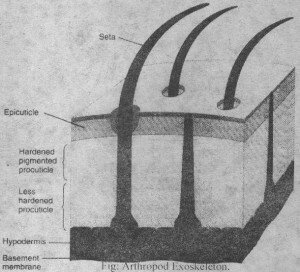 Metamerism of arthropods is apparent externally. 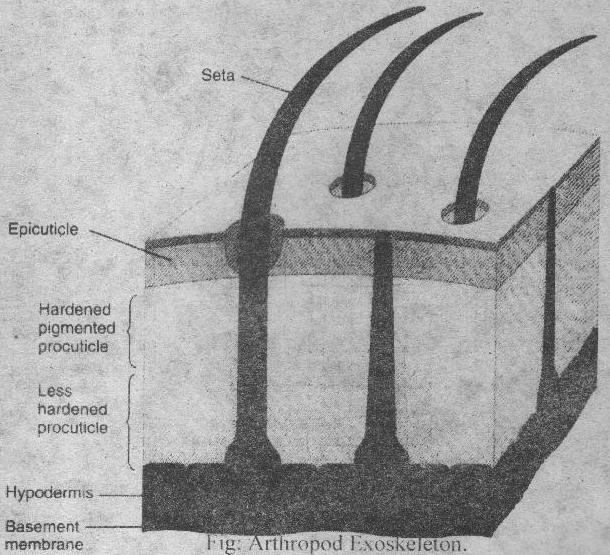 The arthropod body is composed of a similar segments. Each segment bears a pair of appendages. Similarly most organ systems are not metamerically arranged. Different zoologists give different reasons for the loss of internal metamerism. It is believed that the arthropods do not need metamerically arranged hydrostatic compartments. They arthropods are enclosed by an external skeleton . Therefore, they don’t require hydrostatic compartments or support or locomotion or animal. Metamerism produces specialization in regions of the body for specific functions. The regional specialization is called tagmatizafion. In arthropods,, body regions are called tagmata, tagmata are specialized for feeding and sensors perception, locomotion and visceral functions.